More so than any other Hawaiian Island, O‘ahu is easy to navigate. A complete selection of transportation options — and a fairly simple highway system — give visitors many choices. Your final decision will depend on your plans for exploration. If you’re staying in Waikiki and don’t intend to move much farther than the beach, you won’t need to rent a car. Most hotels have shuttle services to and from the airport, and TheBus or trolley systems can deliver you to outlying shopping malls or major attractions. Also bring your walking shoes; Waikiki is small enough to hoof it most anywhere. If you’d like to tour the island but not deal with bus fares and timetables, renting a vehicle is your best option. If you’re 25, have a valid driver’s license and carry a credit card, you can rent anything from a compact or luxury car, Jeep or van, to a Ferrari. A rental will give you the freedom to explore the many beaches that stretch along O‘ahu’s shore, swing into historic Hale‘iwa Town for a Matsumoto’s shave ice, and stop by the swap meet at Aloha Stadium for a little souvenir shopping — all in one day. Honolulu is Hawai‘i’s air transportation hub. 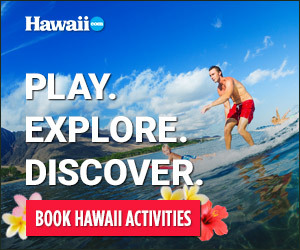 Numerous airlines operate daily routes from the mainland United States to Honolulu International Airport on the island of O‘ahu — including Hawaiian Airlines, Continental, United, Northwest, Delta and American. Some carriers fly direct to Maui, Kaua‘i and the Big Island of Hawai‘i, but many visitors reach Neighbor Islands by flying to Honolulu and continuing to their final destination on interisland carriers. Honolulu International also hosts numerous international flights every day.